Sitting in a dilapidated cafe in the New York suburb of Queens. I stared through the dirt smeared window at the newly opened Cliffs Climbing gym across the road. I had began working at the gym just over a year prior and during that time, my life had gone through a number of dramatic changes. I had moved house twice, I had spent most of my savings on vet bills when my dog came down with kidney failure, my grandma had passed away and to top it all off, I was getting divorced. As I sat there contemplating my life, the waitress skipped past and refilled my mug with coffee. I had reluctantly moved to New York a few years earlier to be closer to my wife but now that we were no longer together, I wasn't sure why I was here. You see, prior to my arrival in the big apple, I had been living in the rural mountain town of Infiesto in Northern Spain, building an eco-house for a friend and exploring the world of climbing development. From my small cottage on top of the hill, I had incredible views of the Picos De Europa and although I had little money, I loved being so close to nature. So what was I doing here in New York City? Adding a splash of milk to my cup, coffee clouds billowed around their ceramic cage while and the question resonated over in my mind. Were my problems really that bad or were they simply a passing phase, a storm in a cup? My friend Dan entered the cafe and sat down opposite me. Dan, alongside being a talented artist, was one of the strongest and most humble climbers I had ever met. He was well known locally for his casual 5.13 on-sights and establishing numerous hard boulder problems. He was one my favorite people I’d met in NY and it just so happened, he too was experiencing a life funk. “Whats up mate?” he asked, “I’m lost” I replied. “Yerrr, I feel ya mate” he said. There was no need to go into details, Dan knew what I was going through. “We should get out of here and head somewhere warm where we can climb more, I’ve had enough of this city.” I nodded in agreement and took a large gulp of coffee. I’d felt the same as Dan for some time but I had no idea what I wanted to do or where I wanted to go.The biggest obstacle of all though was not the what or the where, but that I lacked the courage to leave at all. I felt like a coward. In the four years I’d lived in the city, I’d become complacent with my lifestyle. Like most of the city dwellers, I’d become comfortably wrapped up in the rat race and paper chase. My ideals which I once held so highly were to follow my bliss, contribute only positivity to that around me and fear nothing but complacency, had all but vanished. My new goal in life was a simple one. To attain a higher paying salary, regardless of its affect on the world at large and to own increasingly expensive items, non of which I really cared for. This for me was an all time low. I was ashamed of what I had become and it was eating away at me little by little in the shape of depression. I knew then that I needed to find a balance in my life, something that would remove me from this downward spiral and fill the gap that money couldn’t. Settling my $2 bill for the four cups of deathly sweet coffee I had consumed, we exited the greasy spoon cafe. “I’m going to leave New York” I told him on the way out, “me too” he replied. We laughed, both of us were clueless as to where we were going to go, but we knew that if we voiced it out loud, we would commit to it. Barely a week had passed when the idea came to me. I had just finished establishing a climbing program for at-risk youth in Queens called ClimbUp as part of my job for a local climbing gym. On the first night, as the small group was leaving, I was taken by surprise when the kids sprung towards me with gleaming smiles and thanked me for putting the program together. I didn’t really know what to say to them and gave a generic reply along the lines of “you’re welcome”. Later that night as I dwelled on my day, this seemingly small event repeated over in my mind. Something inside of me felt a huge sense of satisfaction from being able to give an opportunity to someone less fortunate. Having grown up below the poverty level, I felt that I could relate to the struggle these kids faced and wished that I had been given more opportunities when I was their age, and with this, my mind was made up. Later that same week, I caught up with Dan again. This drastic change in my life came as no surprise to Dan. I’d visited Mexico earlier that year with a climbing friend, Tiffany Hensley after hearing rumors of a canyon abundant in virgin rock and it had sparked a fire inside me. While we were there, she had introduced me to Rory Smith, a bright thinker and passionate writer who was also the co-founder of an at-risk youth program Escalando Fronteras based in Monterrey, Mexico. The program was fairly new and focused on educating and empowering gang youths in impoverished parts of the city through the medium of rock climbing. Though they were gaining traction in the climbing world, they were fledgling and needed volunteers to help mentor kids and expand the program. At the time, I spoke barely a word of Spanish outside of a courtesy phrases of “Hola, como estas?” and “Yo quiero uno café con leche, por favor”. Not exactly empowering phrases. Alongside this, I knew little to nothing about Mexico as a whole and the little I did was news stories of cartels and drug wars. Having spent a good amount of time in the middle east, I was not easily deterred and decided that I could fill this role in the charity, though I knew it would take a lot of work. With little more than a brief email to Escalando Fronteras, I made a plan to change my life and leave New York. And so it began. To make this trip a reality, I realized the first thing I needed to do was to save money. To accomplish this, I would follow the growing trend of dirtbags and move my life from a New York apartment, into a van. This may sound like a sacrifice of space, but to anyone familiar with city apartments, there was little difference between the two other than the loss of a bathroom. 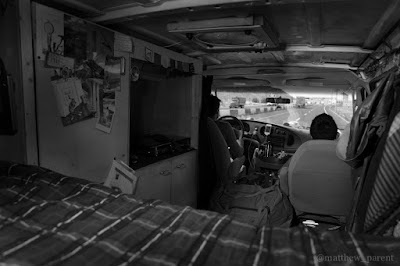 Over the following 3 weeks, I began working on the van every night in an effort to transform the “tin-can” into a home. I Installed everything I thought I would need to live somewhat comfortably including a bed, kitchen area with cooker, ceiling fan, storage area, solar panels, lights and of course, bluetooth surround sound for movie nights. The long work nights required to complete the transformation in such a tight schedule would only end when I collapsed with exhaustion, often in a pile of sawdust and with tools still in my hand. As November arrived, it marked the end of those long weeks of “Van-gineering” and I prepared to hit the road heading south to Monterrey after a brief pass through Boulder, Colorado to pick up Tiffany. As we approached the border, we each confessed our nervousness about crossing the border. We had both heard horror stories about violent crimes, kidnappings and cartel road blocks. Having spent a good chunk of time living in the Middle East a few years prior, I knew much of what the news reported in the US was far from accurate, often heavily dramatized and laced with sensationalism. I decided to contact some friends that had driven down previously to get a real pulse on Mexico. They confirmed my suspicions that although there are some sketchy areas which should be avoided, it was no different that walking the streets of Harlem after dark. Armed with this new knowledge and 2 keychains of pepper spray “just in case”, we hopped the border and took the Carretera Nacional to Monterrey. The news came as a huge surprise. We were a small non-profit operating on nothing more than the efforts and good intentions of volunteers. 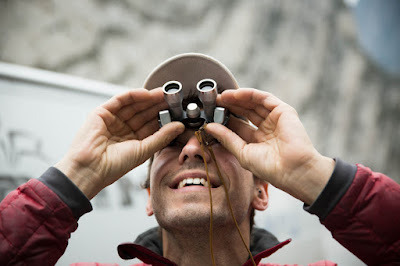 To have one of the most respected climbers in the world support our passion bestowed a huge sense of validation. “He donated to naming a route, what you gonna bolt?” Rory asked with a ginormous smile on his face. “I have no idea” I replied, as I stared into my coffee cup hoping for an idea to materialize. As I slurped the final dregs of my coffee, I continued to draw a blank and decided to go the park in search of inspiration for the new route. To name a climbing route is a privileged act. It requires that someone must first establish a line by cleaning, bolting and then climbing the route. During my time in Mexico, it was my goal to equip routes that the IndieGoGo campaign donors themselves could one day climb. I once read that the average climber climbs 5.9, so I had been trying to stick between the 5.6 and 5.11 grade range, however, bolting a route for Alex was a different animal. 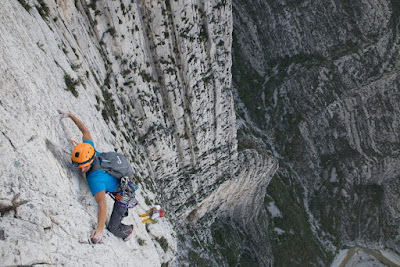 Alex is best known for his daring free-solo ascents and “Sufferfests”. This was a high bar to meet, but after sitting in my van for several hours staring at rocks through some binoculars, I discovered one place where I could equip a line that was fitting for such a climbing “rockstar”. 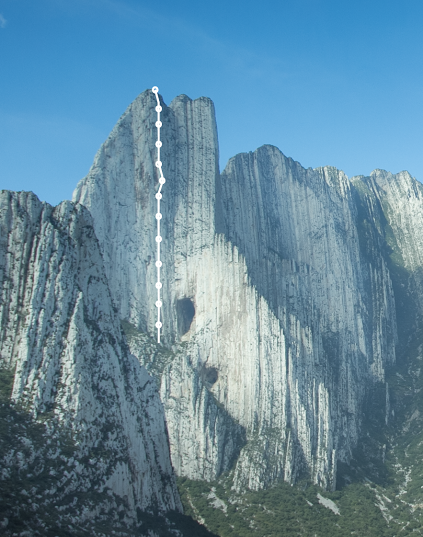 The North face of Pico Independencia in Parque La Huasteca is an incredible wall that guards the entrance to the park. It had seen little attention from the climbing community, held no direct line and It’s giant towers capture the imagination of even the most hardened city slicker when stood at their feet. 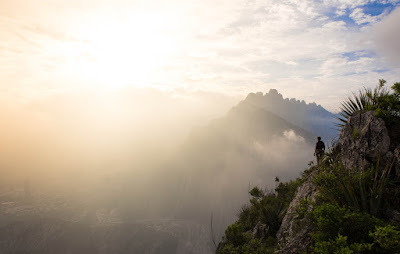 Considering its size, location and potential, Parque La Huasteca was relatively unknown outside of Monterrey and it’s most accurate guidebook was a decade out-of-date. Searching the face from the floor below, I was able to identify a virgin line that ran from the base to the summit direct, tackling the blankest section of the wall and climbing straight through the overhanging roof that loomed 200m above. It would be the king line on the face, a test piece for anyone visiting and fitting for a big wall master. My biggest dilemma of all though was not finding the line, it was finding a partner. There are few people that I know who have enough knowledge or experience to help with such a task, even fewer that have time for a multi-week endeavor in Mexico. I reached out to everyone I knew that might be able to join me on the wall but it quickly dawned on me that if this was going to happen at all, I’d be doing it alone. Accepting that this would be a solo mission, I began strategizing how I’d approach the route, ground up or top down? A ground up is when you begin at the base of the wall and climb on lead to the summit, placing equipment as you go. It is widely recognized as the purest style of new route development, particularly on big walls. The theory goes that you can better establish a natural line ground up as you’re able to feel out the route as you go. Top down on the other hand, is sometimes frowned upon. The argument against it is that it requires less skill and that you remove the adventure (danger) from the route development. My personal opinion, developing a new route is an artistic expression, like writing a story in rock where the holds represent the words and the protection, the periods. Which style you choose to equip a route in is down to the artist, though there are plenty of inflated ego's that would argue otherwise. Besides, sport routes are by their very nature exactly what they say, sport. Routes designed to be safe while pushing the difficulty of what is physically possible. For this route, I decided I would first go top down, inspecting the rock on rappel and bolting anchors as I descended where I envisioned each pitch would start and end. This not only allowed me to confirm the line was possible but it also provided an opportunity to deposit gear stashes on the wall and clean any large rocks that might be teetering on the edge, waiting for me to unsuspectingly pull on while on the way up. The day of the "first descent", my two friends Matt Castellon and Ramon Narvaez joined me for the inspection. As we descended down and I rigged the first 100m of the route, it became apparent that the rock would need some cleaning to allow for a safe route. Arriving at the end of my second fixed line, I bolted an anchor and stared down at the following pitch in bewilderment. An aptly named “Death Block” sat some 30 feet below me, held to the wall by little more than small succulents plants and dirt. It measured what I guessed to be roughly 3ft wide by 20ft tall and as thick as a sidewalk. I rappelled down until I was within arms reach of the block and gave it a gentle nudge to check its integrity with an ice axe, my chosen rock cleaning device. Camming the pick head behind the bloc, I began to gently tilt back the axe handle, gauging the blocks willingness to hold to the wall. Without warning, the giant block free’d itself from the wall and plummeted down to earth on a schizophrenic trajectory, bouncing off the wall below as it went. My stomach sank and I watched helplessly as the rock crashed into the ground with such force that chunks the size of basketballs were landing near my van over a five hundred feet away. As the dust settled, I desperately scanned the area where chunks of the bloc now lay scattered and prayed no one was in the blast zone of the exploding rock, which to my relief, there were none. An orange scar replaced the space where the block had once sat and I was left spooked by the experience. Had I chosen to climb ground up without an inspection, I could have easily been in the path of the falling block which would have undoubtedly killed me if I had been in its path. Collecting my thoughts, I brushed back the soil left behind from the deceased block and continued to navigate my way down in search of the best line. After several hours of cleaning, the evening began to fade and the prospect of finding the complete line diminished with the setting sun. Having rigged lines down more than half the 1200ft of wall, I counted my blessings and decided it was a good time to bail. I bolted an anchor and tied together two 70m ropes to enable us to rappel to the ground in a single shot. Reaching the ground, I stepped back and peered up at the looming peak above. As I reflected upon the task at hand, the realization of how much work was needed to complete this route hit me and I felt completely overwhelmed. we had spent close to 10 hours on the wall during this first day and had accomplished relatively little. I’d placed roughly half the anchors bolts and removed some of the large blocks along the way but completion of the route seemed distant. So far in fact, I doubted I could finish it before my time in Mexico was up and I would be forced to return to the US to renew my visa. That evening after arriving back home, I returned “drawing board” to reassess my battle plan for the wall. What I had originally envisioned as a solo, ground-up approach where I would fix lines over time seemed unlikely to be successful given the current time frame. The wall already had several unfinished lines and I was not looking to add another. My new plan involved an unconventional mixed approach. I would take the Via Ferrata to the summit of Pico Independencia as before and rappel down the face equipping the blankest pitches on rappel and for the easier pitches, I would equip on lead. This was not a style I had ever heard anyone using before, but I also hadn't heard of anyone equipping routes of this size on there own before. While I lacked a climbing partner for equipping the route, I was blessed with some incredible friends and an amazing climbing community that were willing to help me sherpa the hundreds of bolts, 8 batteries, 10 ropes, food and water for 2 weeks, a portaledge, solar panels and various other climbing gizmos up the Via Ferrata to the top of the mountain in preparation. Reaching the summit in the early evening, we shared some food, hugged and said our goodbyes. I followed them to the south side of the peak and watched as they rappelled off the mountain. As the last person descended down and the team pulled the rope, I watched as it whipped through the anchor leaving behind the familiar ring of rattling chains. Walking back to where my gear lay piled on summit, I took a moment to look out over the city which now seemed so far away. I was alone. I stared at my pile of gear sitting beside the summit and decided I would organize it ready for the wall the next day. It was my way of drowning out feelings of loneliness with a sense of busyness. There was little to do in earnest, my OCD had already seen to the size and color coordination of everything in my pack from the climbing gear to clothing. Even my food supplies were neatly packaged into daily meal rations to ensure I knew how many days I had left on the wall. There was nothing left to do. I lay out my sleeping pad on the floor and climbed inside my sleeping bag. The night was clear and the air blew frostily across my face as I stared at the stars above, wondering what tomorrow would bring. I woke early the next morning to catch the sunrise over the city. The light cut across the valleys many layers like blades. I fixed coffee and eggs on the small stove I had brought with me and stuffed my sleeping equipment into their sacks. The day ahead was going to be long and tiresome and once I left the summit, I had no plans to return. Finishing off breakfast and a gut shaking three cups of coffee, I packed away all the equipment and one by one, carried the haul bags to the lip of the cliff. After completing one final “Idiot Check”, I rigged my rope, took a final glance out at the city and stepped over the edge into the void below. The wall below was blank and sheer vertical. Strong winds carrying stones and dirt blasted up the wall into my eyes and the sense of exposure rang through my body. Securing the bags to the anchor, I holstered my bolting equipment to my harness and began the tedious and sometimes forgotten process of cleaning the route in preparation for equipping. 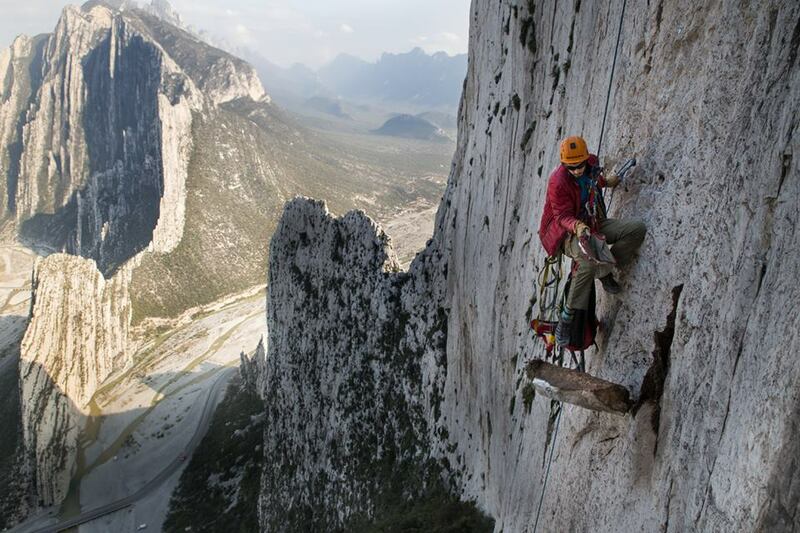 Mexico had a stark reputation for chossy routes, my goal for this new route was to raise the bar for development quality and to do this, I would meticulously brush and scrape every square inch of rock within 6 feet either side of where the route would be, ensuring there would be no surprises for the climbers on the way up. Doing this also allowed me to better place the bolts in good clipping positions, knowing the rock around it would not be altered by breaking off at a later date. The hours passed by quickly up there on the wall. From sunrise to sunset I would repeat the process of rappelling a rope length and cleaning. If the wall was blank, I would ascend back up the rope and take a second pass to place bolts. When the wall was more featured, I would equip from the bottom up using hooks to make progress between the bolt placements or simply climb with the drill racked to my harness. At the end of each day, I would attach my equipment at my furthest point of progress and retrieve my portaledge from the wall above by jumaring the fixed lines I had left in place. This process of cleaning, bolting and moving camp continued for 30 days in total, spread out over the months of February and March. On the morning of April 1st 2015, I placed the final bolt in the wall at the base of Pico Independencia, completing what had been for me, one of my greatest adventures and life achievements to date. Removing my climbing gear which by this point had rubbed me sore, I dropped it on the ground beside my hauls bags and stared up at the giant wall above. The route was complete, but the adventure was far from over. To make the route official, I would now need to climb it cleanly from the ground up, hopefully, without falling. That evening when I returned home, I quickly set about finding a climbing partner to tackle the route with me. A good friend of mine Carlos Flores, a bold climber and accomplished route developer from Monterrey quickly took up my offer and we arranged to meet early the next day at the entrance to the park. I felt incredibly fortunate to have Carlos as my partner. Alongside being a skilled climber, he was a very good problem solver, critical to a fault with a no nonsense approach to everything he did and I knew that whatever challenges we found on the wall during the climb, he would be an asset in overcoming them. The following morning came quickly and I awoke to the familiar sound of my phone alarm bellowing its digital tune, accompanied by the rattling of it’s vibration against the wooden side table. I had barely slept a wink, the anticipation of climbing the route had kept me awake much of the night and now I struggled to pull myself out of bed for the big day. I rose like a zombie and glanced at the time. Somewhere between the ten alarms going off and getting up, I had lost over an hour and I was due to meet Carlos in just 20 minutes. I hastily gathered my belongings for the day ahead and made my way to the park. Passing by the guarded entrance to the park and over a short concrete bridge, I arrived at the large carpark where I found Carlos and my friend Ingrid waiting. We spent a few moments catching up with the mandatory kiss on the cheek for the ladies and a slap-fist handshake combo for the guys before double checking our gear for the day and going over the plan of attack one more time. We aimed to climb the route light and fast, taking with us just 2 liters of water, a small amount of food and a basic sport climbing rack. 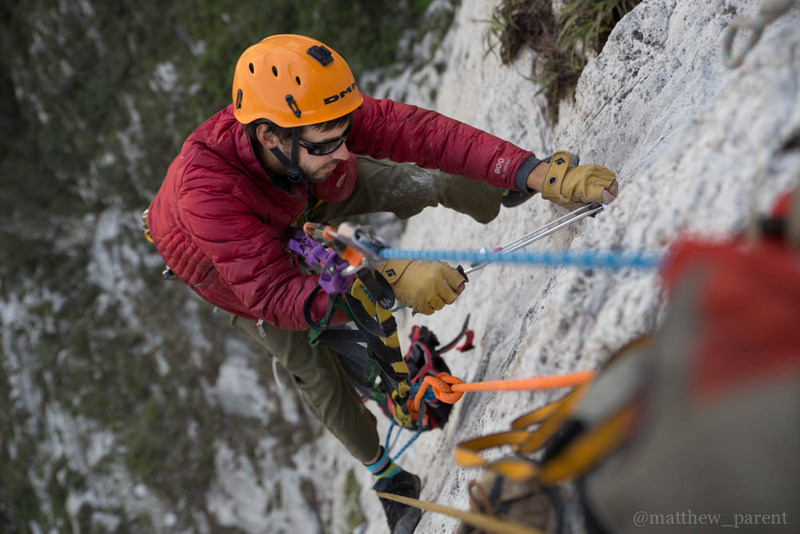 Alongside Carlos, my good friend and camera wizard, Matthew Parent was joining us for the climb to capture our ascent. Armed with a coffee in one hand, a bag of skittles in the other and wearing a backpack full of gear, we made our way to the base of the wall. Arriving at the base some 30 minutes later feeling clammier a walrus in the tropics, we readied our rope and distributed the weight evenly between our day packs for the send. Re-tracing my figure eight knot, I checked one last time that we had everything we needed for a hasty retreat should anything go unexpectedly wrong. A big wall accident in the Middle East a few years earlier had forged a healthy respect for preparation within me and I had since developed an almost paranoid outlook for potential climbing hazards. Completing my myriad checks and feeling prepared for what lay ahead, I pulled on my shoes, gave a fist pound to Carlos to signify I was ready and began the journey across the slab that marked the entrance to the wall. The pitch was short and sweet, just a couple of bolts to protect the 16m of easy climbing. I clipped to the anchors upon reaching them and Carlos quickly climbed up to join me. Leap frogging the belay, he immediately set out on the next pitch of the route, one which I had guessed to be relatively easy, somewhere in the region of 5.8 in difficulty. He moved out left from the belay to a slabby ledge where the wall gradually kicked back into an ever steepening face. Reaching a small bulge 15ft from the belay, he paused for a minute, as if figuring out the next moves. “How’s it look?” I asked, “I thought this pitch would go at about 5.8”. Carlos didn’t reply, he was focused on the task at hand but It did seem unusual that he would need to pause at all on a climb of this grade. Fifteen minutes passed when I heard the call “LIBRE!” from Carlos above, announcing he was at the anchor and safe to take off belay. As Carlos retrieved the excess rope between us while I strapped on my shoes and prepared for what I was expecting to be a very quick and casual climb to the anchors. “SEGURO!” Carlos shouted down to me, the Spanish equivalent of “On Belay” and I unclipped my anchors and began climbing. Upon reaching the bulge where I had seen Carlos pause earlier, I soon realized why. The bulge that we had to climb through was an awkward shape and the holds I’d envisioned you’d use for the move were much more difficult to hold than I had previously thought due to the deceptive steepness of the wall. I paused there a moment to figure out the moves before climbing past and meeting Carlos at the belay. “I don’t think that was 5.8” I said, “Maybe closer to 5.10c”, Carlos nodded his head in agreement. Carlos cruising up pitch 11 of "The Life You Can Save"
As I prepared to lead the next pitch, I was troubled by how wrong my grade prediction for the last pitch had been. I had already seen the entire route while bolting and guessed there would not be a single pitch harder than 5.11b, but now I wasn’t so sure. The most troubling part of it all however, was that I was certain that there was a harder pitch above, I just wasn’t sure how much harder and I questioned whether we would be able to reach the summit at all. Leaving the belay and moving up into the 3rd pitch, I tick-tacked around the easy terrain and followed the steel path upwards. The pitch seemed easier than I had guessed and a small sense of relief briefly fell over me. The relief was short lived though as just 2ft from the anchor, the holds seemed to suddenly disappear, forcing me to hold a tenuous position on small holds while I scanned the wall desperately for the next move. The wall was blank all around except for a distant crimp out right toward the belay. I bore down on the sharp edges and moved my feet out to my side and rocked over to the anchor with my arms burning. Clipping the chains, my arms were pumped solid. I called down to Carlos and he began up the pitch. He make quick work of the climb but also had some difficulties reaching the anchor. I looked at Carlos, “That was ‘ard getting to the anchors ay?” Carlos agreed. I had once again managed to undermine the routes difficulty and it was now much harder than I had ever anticipated. Feeling the pain during the ascent of "The Life You Can Save"
We didn't hang around long at the anchor, both of us eager to reach the summit. We continued up the looming wall above, taking down the next four pitches with ease, leap frogging who lead as we navigated the various crimps and corner systems. Reaching pitch eight, It was my turn to take the lead and I nervously pulled on my shoes ready for challenge ahead. Pitch eight had been the one I feared was impossible since the realization of my grading mishap on pitch three. Now staring it in the face, I was right to be nervous. The pitch above was long, sparse of holds and ended above a large roof. I felt intimidated by the prospect of climbing it and I could tell Carlos knew this well, even though I was trying my best not to let it show. This was something I liked about climbing with Carlos and why we climbed well as a team. He made a good partner not necessarily because he was the strongest climber, but the one I knew I could rely on to overcome challenges on the wall with me when things got tough. After a quick partner check, I gave a fist pound to Carlos and he encouraged me with positivity, shouting “VENGAAAA!” as I battled upwards.The wall looked bare from below though I knew there were holds there, I just had to remember where. I had touched the holds when bolting to be sure the moves were possible but from my current view point, it all looked much the same. Like following a braille trail, I slowly felt my way around thin holds, utilizing what I could to progress upward through the tenuously small and technical movements. Reaching a blank section of wall around 20ft short of the roof, I paused to decide what to do next. My arms by this point were beginning to burn intensely from the lactic acid build up in them and I knew I had to keep moving before my arms gave in if I was to climb the pitch cleanly. The only hold I could see was a smooth mono pocket a few feet above me that would be at the end of my reach. I saw no other option and threw desperately for it. By some stroke of luck, I had managed to catch the pocket perfectly while simultaneously keeping my feet fixed firmly on the tiny foot holds which i’d pushed off into to gain height. My arms rang with numbness from the pump and my legs shook from the strain of holding the tension. I clipped the bolt near the pocket and escaped out left to a ledge at the start of the overhang where I was able to stand for sometime, battling my body's desire vomit. As the feeling slowly returned to my arms and my stomach settled, I eyed the final section of the pitch that tackled the leaning overhang and lead me out above a 180m of space. Regaining my composure, I left the respite of the ledge continued to climb, reaching out far to my right where I could see a spear shaped hold in the roof. I latched on tightly to its edge and I crossed my left hand over to a small crimp in the roof, my feet poised ready for the committing step out into the void. I glanced down briefly at the ground below, acknowledging the exposure that surrounded me and then began what I can only describe as “clawing” my way to the chains. It wasn’t pretty, every move closer to the chains felt as though I was fighting a personal battle with gravity itself. My motions were jerky, accompanied by embarrassing screams and snarfs as I desperately fought my arms desire to give up. As the wall transitioned from roof to slab, I was able to stand up and clip the chains, my whole body relieved to have finished the pitch. “LIBRE!” I yelled down to Carlos. Upon witnessing the struggle I had with the pitch and counting our daylight hours, Carlos decided he would jumar the pitch. I fixed the line and he made his way up to me, a wide smile beaming across his face. 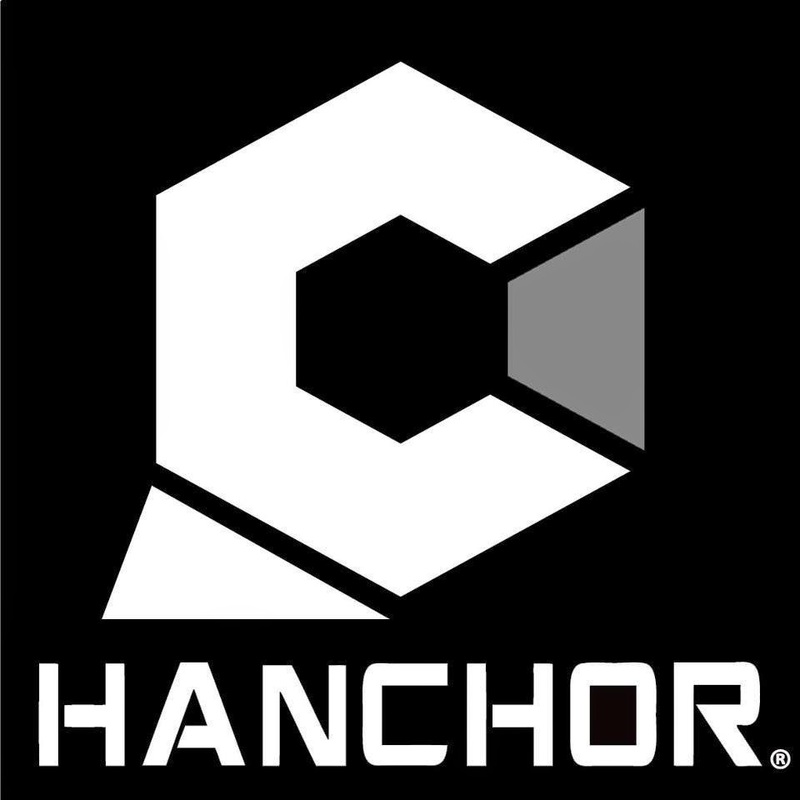 “Sounded hard” he said upon arriving at the anchor. We both laughed. He had heard everything from the belay below and was making light hearted fun of how ridiculous I sounded. While I removed my shoes to air my throbbing feet, Carlos got ready to lead the next pitch which tackled the remainder of the overhang and climbed out onto the headwall above. Checking each other one last time, we fist bumped and Carlos took to the sharp end. Moving out into the roof, Carlos breezed through the bottom section and out of view. Seeing how easy he had moved through the moves, I had payed out a good amount of rope to ensure there would not be any rope drag and I didn't short rope him while he climbed. The side effect of this is that if he was to fall, he would take a screaming whipper out into space… which is exactly what happened next. I wasn’t aware at the time, but just over the lip, Carlos was unable to find the hidden hold that made upward progress possible and as I peered out over the mountains to take in the incredible views of Monterrey, Carlos came suddenly screeching into my sight with a bellowing “FUUUUUCKKKKKKKKKKKK!”. Carlos had reached for a hold over the roof only to find there was no hold, and thanks to the spacial bolting (and all the extra rope I had given him), Carlos took to the sky, reaching the apex of his impressive 20ft whipper almost level with where I was, but hanging out in space. Our eyes met as the rope came tight and I could tell he was surprised by how far he fell. I guess he was probably wondering what on earth I was doing at the belay. He quickly shook off the fall and pulled back onto the wall. Reaching his previous high point, he tried again for a different hold and once again found nothing which resulted in yet another big fall into the space. This whipper experience repeated a couple of times but Carlos being Carlos, tenaciously continued to pull back onto the wall and fight time and time again to find the right hold which he eventually did and our upward progress continued once more. We dispatched the following two pitches above the roof quickly and efficiently. Changing leads as we moved ever closer to the top of the peak which we so desperately wanted to reach. Arriving at the last difficult pitch below the summit, the 10 hours of climbing were beginning to show as our arms cramped and spasmed from the dehydration and exhaustion. I guzzled down the last of my water with the hope it would relieve the cramps which were now crippling my ability to hold the rock and began up the final technical face. I moved awkwardly through the holds above, the cramps in my arms came in unpredictable waves that made my hands distort into odd shapes that made them unusable while they lasted. I tried to ignore the pain and wait out the cramps until I was able to use the limb once more to make progress but it was a losing battle. At the crux of the pitch which involved a wide iron cross move, both my arms began to spasm and unable to control my own hands, I fell. I hung there in my harness for a few minutes, venting my frustration with some choice words. I had climbed every pitch to this point clean only to fall on one of the easier pitches due to something that I failed to plan adequately for. I felt disappointed with myself and my performance. I stared at my contorted hands, waiting for cramps to leave and control of my arms to be returned so that I could complete the final 30ft to the summit. As the feeling returned to my hands, I pulled back onto the wall once more and struggled my way to the chains, all the while battling with the cramps. Reaching the final anchor, I clipped in and Carlos came up to join me. When he arrived, we removed our gear with relief and walked the short distance to the summit where our friends Matt and Ingrid were waiting expectantly for us. As we took a moment to celebrate our ascent, the pains and frustrations subsided and I felt as though a weight had been lifted. This route had become more than just another climb for me. I had poured everything I had into this piece of rock and by completing the wall, I had fulfilled a promise to both Escalando Fronteras and myself to raise much needed funding for the cause, contribute positively to the climbing community and follow my bliss beyond my comfort zone. That night when I returned home, I emailed the topo and route details to Alex and asked if he’d thought of a name for the route. “Off the top of my head I’d name it “The Life You Can Save” which is a great book by Peter Singer… But your call.” he replied. Upon reading his email, I sat back in my office chair, dumbfounded by his response which struck a chord with my own personal philosophies. I couldn’t have thought of a more fitting name myself, after all, the book he was referring to discussed ending poverty and helping those less fortunate, values that were at the core of my work with Escalando Fronteras. I replied to Alex with a thank you email and confirmed that the route was now officially named. As I hit the send button, it dawned on me that a chapter in my life had come to an end and with it came an resounding lesson, and that lesson was this. Although climbing may seem irrelevant in the grand picture of world affairs, when we as climbers band together, our small positive actions, when multiplied by many, can bring about great change and move mountains! Unless you're one of the few lucky ones that lives within Huasteca, you're going to need to travel here. The easiest way here is to fly and hire a car at the airport but for those who on a budget or looking for a adventure, road tripping or taking a bus will certainly earn you some stories! For a full list of directions, check out www.ParqueLaHuasteca.com and click the link for directions. Refugio Huasteca is a small bed and breakfast located just outside the park. Run by local climbing guru Ramon Narvaez, they offer a no-frills accommodation and good vegan food for those who prefer the warmth of a room. *Must like dogs, they have 4. Contact Ramon Narvaez through the Facebook page Refugio Huasteca. The Yage is a beautiful and welcoming eco-village thats hosts campers year round. Located in the centre of the canyon with a 360 degree view of the mountains, a pool, a palapa and even yoga classes. This really is THE place to stay in Huasteca if you don’t mind camping. They plan to build eco-domes in the near future enabling some more luxurious lodgings. There is a number of small stores near the entrance to the park including a eco-cycle cabin that rents bikes and offers bike tours. If you’re looking to grab more than a few basic items, there is a large supermarket just a 5 minute drive from the entrance called Soriana. If you’re looking for the best local food spots, the internet is little use in Mexico. Traditional Mexican food is best made by small stands and all the best spots in Mexico are found through local knowledge. Ask around and you’ll be surprised what you discover! Mexico has a dicy history of violence between the drug cartel and the state which has jaded many people's view of the country. In recent year, the there has been little to no problems between the two rivals in or around Monterrey but that doesn’t mean you shouldn’t be wary. Depending of which crag you’re at, you’ll likely want shorts and t-shirts for much of the season with a jacket on hand for the the big routes and evenings when the temperatures drop. You’ll also want 20 quickdraws, some of them extendable, and a 70m rope as many of the routes are over 30m in length. Gareth “Gaz” Leah is in the process of completing an accurate guide to Parque La Huasteca that is dubbed to be released in late 2016. Established by British climber Gareth “Gaz” Leah during his initiative Project Wall-E for the NGO, Escalando Fronteras. The route takes the super direct line from the valley floor to the summit through a plethora of rock formations and styles. The route is very well equipped and the harder sections can be aided through by “french free” climbing. For those looking to climb the route over 2 days, It is possible to bivi under the roof at the 7th pitch, a hammock or portaledge is recommended. P1: The short pitch starts at the large hueco and tackles the slab to a high first bolt and finishes at the two bolt anchor above. 5.6, 16m. P2: An easy start gets you established on the face where you are immediately met with some powerful static moves to overcome the roof. 5.10c, 30m. P3: A sucker pitch that is deceptively hard. 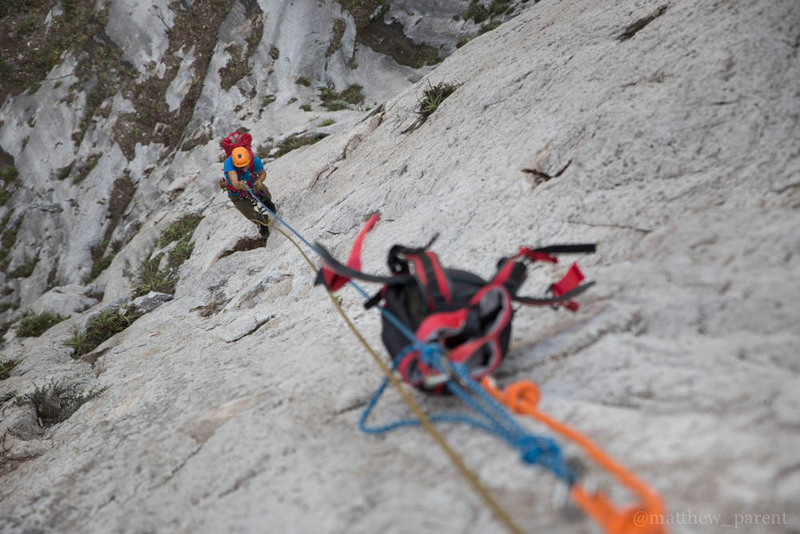 Climb up from the belay into some 5.8 terrain where the wall gradually begins to kick back. Keep composed as you power up to the chains! 5.12a, 30m. P4: A challenging corner pitch that has a small run out at the beginning. 5.11a, 32m. P5: Follow the switching laybacks that require body tension and neat footwork. 5.11d, 33m. P6: A classic pitch that stems the giant flake to a ledge. 5.11b, 20m. P8: The crux pitch of the route is both technically difficult, sustained and committing. Easy moves off the belay are short lived and the holds rapidly thin as the wall steepens. Strenuous moves gain the ledge before the roof when you must compose once more for a daunting step out into air! 5.12+, 35m. P9: Not for the faint of heart. Traverse out into the void and make difficult moves above to reach the belay. 5.11b, 30m. P12: Just when you thought it was all over. Climb the thin face through a series of roof’s and difficult iron cross before it eases off. 5.11d, 32m. P13: Climb the blocs direct and head a little left after the only bolt to reach an anchor on the side of a large bloc. Walk to the summit. 5.6, 15m.